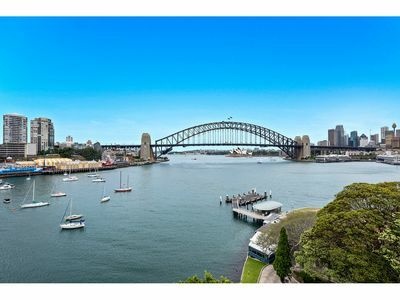 Tick all the boxes for resort lifestyle, blue chip investment and iconic Sydney Harbour views with this one-bedroom 10th floor apartment in the water’s edge “Harbourside” building. 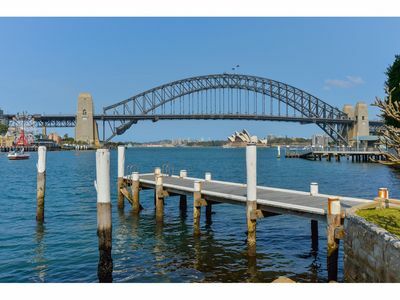 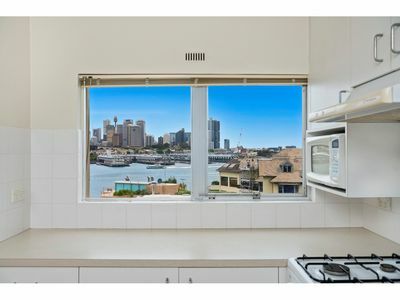 Set on the South Eastern corner, the apartment captures an uninterrupted Harbour panorama stretching from the calm waters of Lavender Bay, to the Harbour Bridge, Opera House and City skyline and around to Barangaroo, the historic wharves and Anzac Bridge. 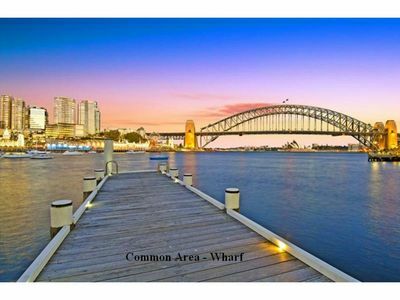 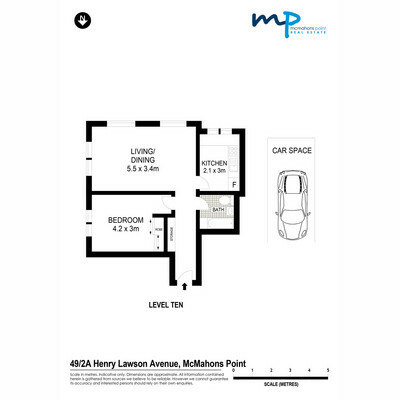 Set in a unique waterfront position, “Harbourside” offers five star facilities with waterfront pool, sundeck and barbeque area, its own private jetty plus all the lifestyle attractions of McMahons Point at the doorstep. 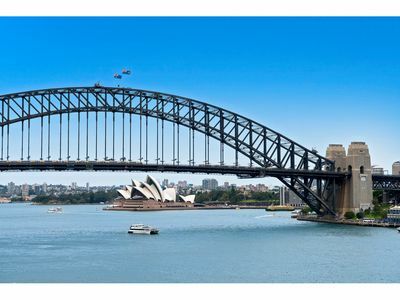 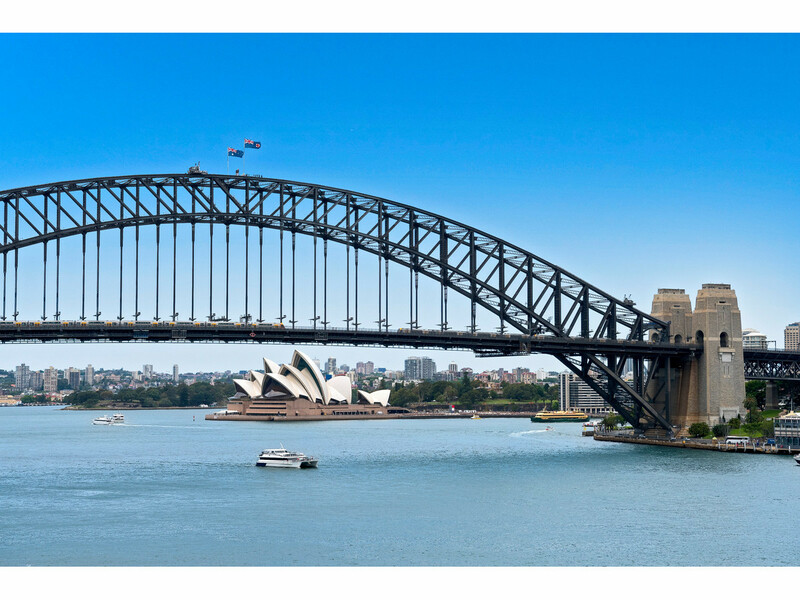 A stone’s throw to the ferry wharf with regular services to the City, Darling Harbour and Parramatta, it’s moments walk to a wealth of restaurants, cafes and boutiques, and 15 minutes stroll to North Sydney rail, shopping and business centre. 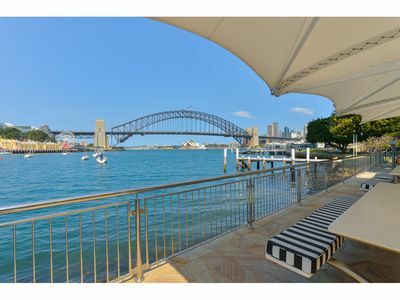 Entertain friends or just relax and soak up the views in the light-filled lounge/dining with wraparound windows framing an uninterrupted 270-degree Bridge, City and Harbour waterscape of 24-hour-a day beauty. 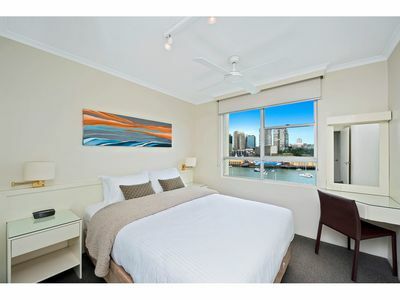 Tranquil sunrises over the water, majestic sunsets that turn the City to gold, the constant activity of bustling water traffic, the twinkle of City lights and Sydney’s renowned fireworks displays are literally at your window. 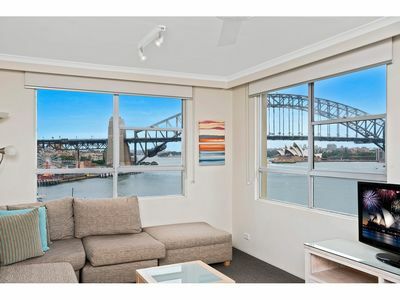 The large bedroom with built-ins also enjoys picture postcard views to the soaring arch of the Harbour Bridge framing the Opera House and harbour beyond. 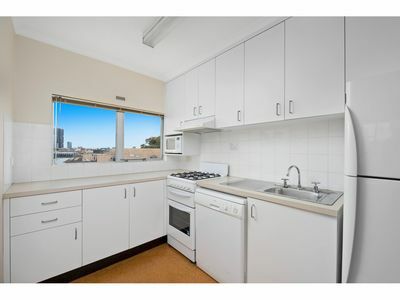 The separate kitchen is equipped with gas cooking and dishwasher. 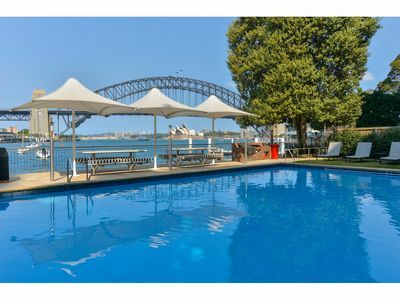 The property has security entry, two lifts, 24-hour reception, Wifi, Foxtel, shared laundry facilities and designated parking. 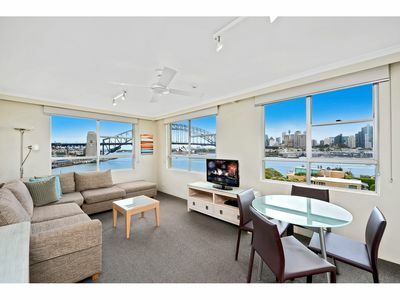 This Strata Title apartment is fully furnished and carpeted to commercial hotel standards, offering lock-up-and-leave convenience for home, City pad or rental, with the option of management by Harbourside Serviced Apartments or your own agent, or rent it out yourself and enjoy City stays and income.